The ring in the photos has been sold. Your ring will be custom built by hand, by me, upon ordering. 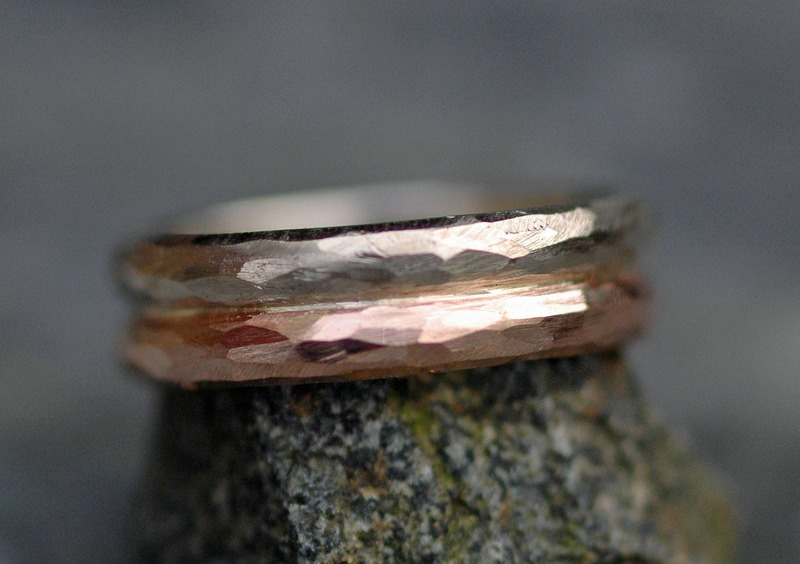 This double-layer band is created of recycled 14k white and 14k rose gold. 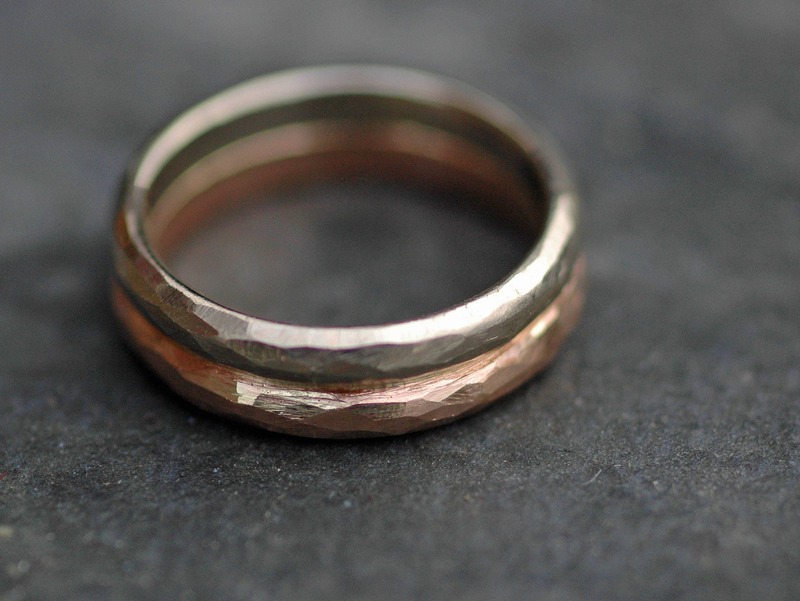 The bands are soldered together, for those of you who like the appearance of stacking rings, but prefer to wear only one ring. The ring can also be ordered in 18k gold. 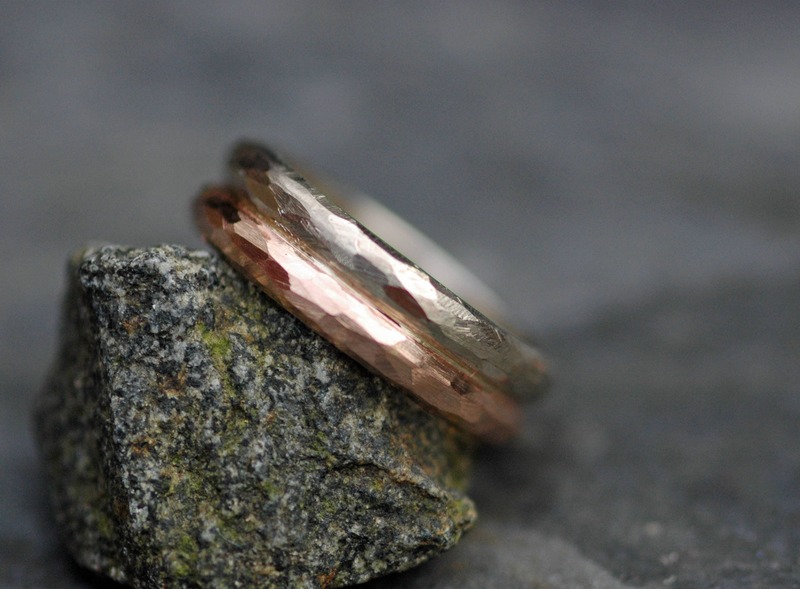 You may choose to have your bands made in any combination of 14k white, rose, or yellow gold. If you would like a triple or quadruple stacked ring, please get in touch for a custom quote. The client for whom this ring was made requested that the line between the two golds be very distinct. 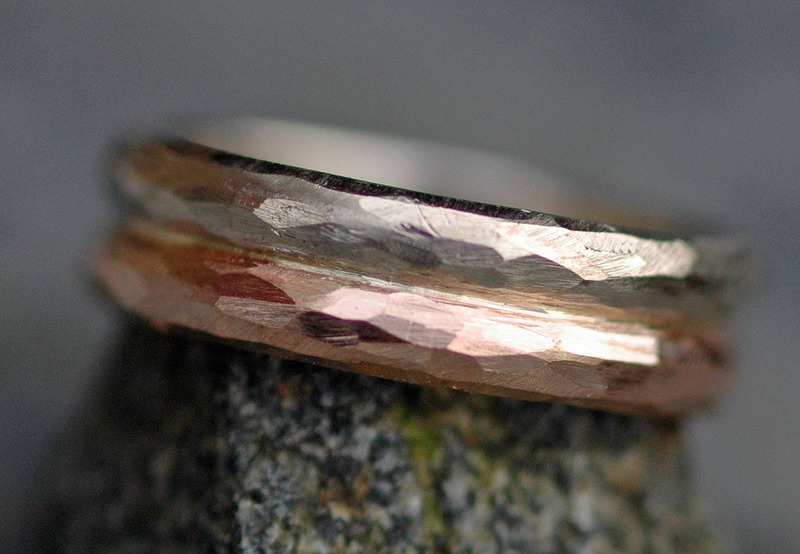 It has been accentuated by being hand-cut lightly into the ring. 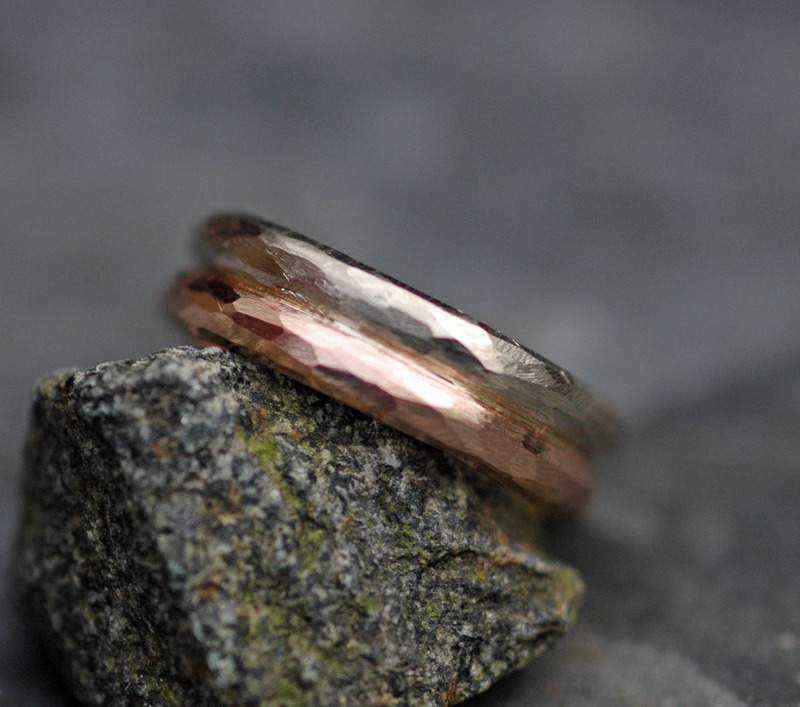 Your ring will not have this distinct, incised line, unless requested.